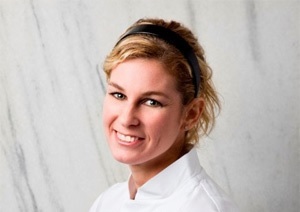 Celebrity Chef Jen Carroll arrived in Bermuda earlier this month and is wrapping up the two month pop-up restaurant at The Fairmont Hamilton Princess. It opened in June and is owned by internationally acclaimed celebrity chef Marcus Samuelsson. The restaurant will close on August 3. “She went on to work at Chef Derek Davis’ Sonoma and Arroyo Grill, as well as Neil Stein’s Avenue B, under Chef Patrick Feury. “Chef Carroll also worked in San Francisco, as sous chef at both Julia and Café Kati. Her inspiration to work in a classic European kitchen led to her becoming sous chef at Chef Eric Ripert’s prestigious Le Bernardin in New York City. “She was then handpicked to lead the kitchen at 10 Arts Bistro & Lounge by Chef Ripert in May 2008 at The Ritz-Carlton, Philadelphia. Chef Carroll started Carroll Couture Cuisine, LLC, a culinary consulting and catering company in 2011. Most recently, she joined the Marcus Samulesson Group at the Red Rooster in Harlem. look here we go again.MORE jobs for NON Bermudians. That’s a dumb comment… Obviously a restaurant headed by a celebrity chef requires highly skilled chefs with experience in an equivalent calibre restaurant. Naturally if the current celebrity chef is going to be replaced it makes sense to have another celebrity come it. I’m so sick of my fellow Bermudians sitting around doing nothing but complaining about their circumstances. Work hard, go abroad, get experience, pursue your dream vigourously, and when you’ve given it all you’ve got and you’ve been shut out simply for being the wrong nationality or color then you can fight for change. Sitting off and complaining about this that and the other does nothing for anyone. Or, you can look at it as another person with a fanbase who can bring even more exposure to the restaurant and Bermuda in general, which should open up more opportunities for Bermudians. You narrow minded knitwit. Why dont you and your fellow green zombies look at the big picture for once. always someone wants to bring colour into comments,maybe it’s you that’s green! Wayne Furbert on behalf of the PLP congratulated the HP’s appointment of Marcus Samuelson (Ethiopean Born and Swedish Raised) in this very publication? Will he now be congratulating the HP on the employment of yet another foreigner? If I remember correctly Chefs were actually exempt from the PLP imposed term limits because there is a global shortage of them. How many qualified Bermudian chefs are there? not one of this caliber except that still practice. bunch of immature stupid objectors. actually I know of many that could,but they are not white! I constantly hear the former Dept. of Tourism and now the Bda Tourism Authority and seemingly everyone else with an interest in tourism say how the key missing ingredient in Bermuda’s tourism product is the Bermudian….tourists and business people want a more ‘Bermudian’ or authentic experience. Such people say how the product needs to be more ‘local’. So why the need to bring in this chef for a few week stint? So people will fly to Bermuda and experience her specialty….West Coast and European cuisine? Can’t they already get this fine food back home? When in Bermuda I generally go for Bermudian, Asian, West Indian or Indian food. The food at these so-called top European restaurants are usually pretty bland. The exception if I remember correctly is La Trattoria which always had excellent Italian cuisine. Clearly the above commenters dissing this restaurant and its Chefs missed the June 4th Bernews article about the 5 Bermuda College interns working at Samuelsson at HP under the tutelage of these seasoned Chefs. Use Bermews search engine to find the article. And please, please do us all a favour and make sure that if are commenting on something you do your research first! Don’t react to one little bit of information you read ’cause it’s rarely the whole story. Stop being so negative and start contributing to bringing Bermuda back from the brink. Marcus Samuelsson and the Green Family are helping to put Bermuda back on the map and should be applauded by you lot!